Our Mediterranean Pons in Chocolate are just the right shade that falls right between our Lava and Brown, creating a darker but warm neutral sandal. 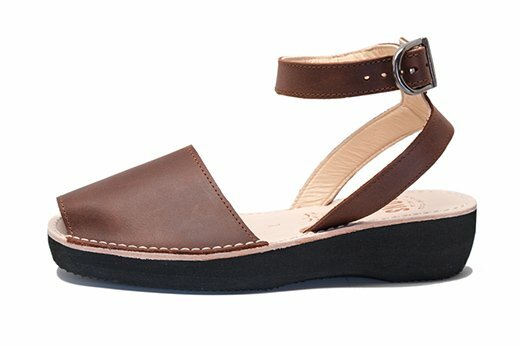 Add a bit of extra style to your fall or spring outfit with some added height as these sandals boast a 1.5 inches (3.80 cm) lightweight and durable foam platform sole.These strappy sandals are easily paired with your favorite jeans and sweater for fall days or shorts and a flowy top for spring and summer. 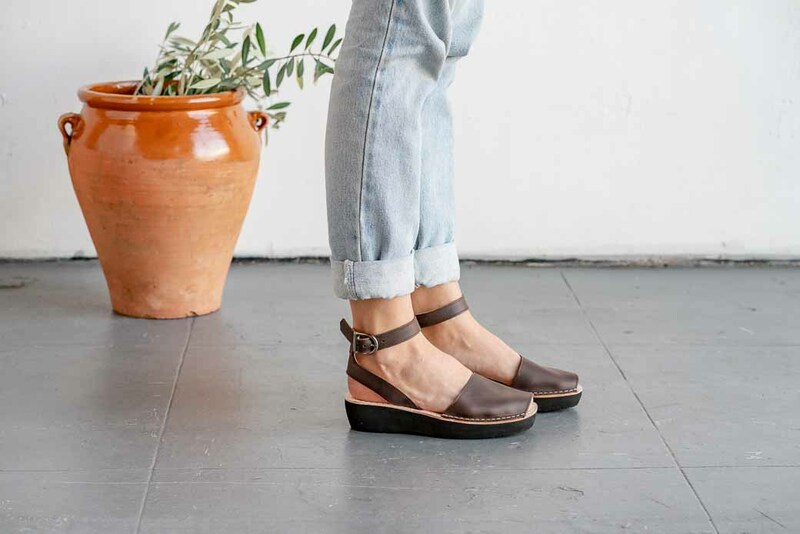 Our Mediterranean avarcas are handmade in Menorca, Spain from high quality full grain leather and feature an ankle strap for a secure fit, ensuring you feel at ease and comfortable wearing these sandals on your daily adventures.